Rome, AD 13–14. Germanicus has defeated the Germans and returns to Rome in triumph. Claudius tells him of Postumus' suspicions and Germanicus passes this information on to Augustus. On a trip to Corsica, Augustus stops to see Postumus and, now aware of Postumus' innocence, promises to pardon him. Augustus privately thanks Claudius for his role in opening his eyes, and informs him that he has already changed his will to favor Postumus. Livia, ever suspicious, tricks a Vestal Virgin into letting her inspect the revised will. 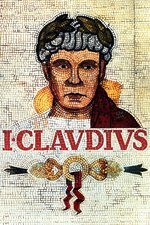 Soon afterward Augustus falls ill.
After 5 hours into the story of I, Claudius we have a critical death in the series. And introducing PATRICK STEWART WITH HAIR as Sejanus! Livia: No one can talk to you anymore. Augustus: No, this conversation was ridiculous from the start. Drunk Livia is the best Livia. Not just on account of her freer use of insults, but because it hints at her guilt. Augustus's lengthy demise is almost impossible to tear your eyes from. Yeah, this is so incredible that if it'd been done today, I would have suspected CGI alteration. I mean, how did he *not breathe*? This is definitely a top episode of the series. Really the only thing I don't like about it is that it means Augustus is gone. The remainder of the show still has plenty of fun characters and amazing actors and amusing/shocking scenes, but Augustus in this was a titan. By the way: don't touch the figs. The final scene seemed odd to me the first time through. Livia is laughing at Claudius in the final scene. 40 or 50 years later Claudius is moved to screaming at the memory. It didn't seem to fit, until this re-watch, when a possible explanation occurred to me. Livia's been some kind of drunk pretty much every scene this episode, when killing other people barely caused her to bat an eye. So this probably wasn't easy for her. Livia also dismissed Claudius as "hearing nothing, seeing nothing" when discussing Augustus' visit to Postumus with Livilla. Now here's Claudius, rattling off a fairly good prophecy involving Etruscan. Maybe he sees more than she knows. I think Livia figured it out in that moment. Postumus told Claudius, Claudius waited 4 years until the opportunity was right and told Germanicus, Germanicus told Augustus, Augustus changed his will, Livia poisoned him. She figured out that she'd been played, she knows everything going on in Rome but missed something under her own roof. The reason it's laughter and not fury, is that a) it's Claudius and b) Tiberius is on the throne, and she's now probably the richest and most powerful woman in the history of Rome. I'd be interested to see what everyone else watching it thinks. Because I'm not sure if I'm just incredibly dense for not getting something obvious, or if this is a fairly off the wall theory. Foreshadowing being paid off this episode: First, the disembodied voice last episode was Claudius'; he was starting to stammer out 'poisoned' before it cut to Augustus and Postumus eating figs. See above; Claudius, linked to the deaths of Augustus and Postumus, the former killed directly by a fig; the latter indirectly. Second, the series opens with a retelling of the Battle of Actium. As a result of that battle Cleopatra VII Philopator and Mark Antony killed themselves. After the battle, Ptolemy XV Philopator Philometor Caesar, also known as Caesarion, Cleopatra's son, possibly by Julius Caesar, and therefore possibly Augustus' stepbrother, was killed, on Augustus' orders. So when we see Postumus and Quintus Fabius Maximus being killed, well, we were reminded that that was the way it started. On the Tiberius really wasn't who Augustus should have bothered with front: "What does he know now that he didn't know then? What could he know?" *pause, darker* "What is there to know?". Hell, if Augustus had just told him straight up what Livia had been up to, it's not hard to imagine Tiberius turning on his mom. Again, it's easy for me to be sympathetic to Tiberius, because his basic need is to be liked and respected. His whole rant on being told about the change to the will is about respect, the fact that he feels neglected. It could be sour grapes; but the idea of being Emperor, doesn't seem to be a huge motivator for him. It's Livia who wants it, and he just knows he can't go against her. Finally, there's a bit of a contradiction in Tiberius' rant. He talks about how he "retired once and can do it again". Historically, Tiberius is known to have retired to Rhodes, (though Suetonius does say that after he retired, he was kept there longer than he wanted). In this series, he was banished to Rhodes for striking Julia. We've never seen him retire voluntarily. I don't know if that was deliberate. But just like last episode it was suggested Livia had a hand in Drusus' death, which seems unlikely, this episode Claudius suggests that Livia may have had a hand in Agrippa's death as well. That happened completely off screen and we have no information on it. Again, it's an interesting question how much of the second-hand info is accurate. Livia was holding that will when she was laughing at him. Livia knew all along. Augustus and Postumus were both killed as a direct result of his actions. That's why she was laughing at him. So he's left raging. [...] I'd be interested to see what everyone else watching it thinks. Because I'm not sure if I'm just incredibly dense for not getting something obvious, or if this is a fairly off the wall theory. Likewise, Claudius is probably so intensely upset about having found the will not so much because of the loss of Augustus, but of Postumus. For Postumus to have lived, in Claudius's eyes, would have meant a healthier Rome and a less lonely Claudius. On the other hand, Old Claudius is so saddled with sadness and regrets that your reading of the episode is, it seems to me, at least plausible. I definitely buy that HE figured out that his actions led to their deaths, albeit possibly well after the fact. "What is there to know?". Hell, if Augustus had just told him straight up what Livia had been up to, it's not hard to imagine Tiberius turning on his mom. I've often had the same thought about this version of the character—or at least, that he might have attempted to :) Though Augustus likely wouldn't have trusted Tiberius's loyalties that far. But just like last episode it was suggested Livia had a hand in Drusus' death, which seems unlikely, this episode Claudius suggests that Livia may have had a hand in Agrippa's death as well. That happened completely off screen and we have no information on it. Again, it's an interesting question how much of the second-hand info is accurate. It occurs to me that maybe the show is itself vague on these points just to underscore how impossible it is for the historical record to not be vague on such points. It's certainly a convenient and effective way for the writers to keep us guessing! CheesesOfBrazil: As for Livia intimating something, I kind of thought that's what the "Jackass" comment was about. It may just be my understanding of the word, but you call someone a jackass when they're actively doing stupid or destructive things. As in "thanks to this jackass, I'm sitting here drunk having murdered my husband and suborned a Vestal Virgin." To which one can only laugh. I realize that this is stretching things a bit though. You raise a good point about Postumus. Tiberius' loyalties are interesting. Tiberius had every reason to hate Augustus for forcing him to marry Julia then banishing him, but that never really came across. I don't think his loyalty to Augustus was ever in question. Consider last episode, when news of the disaster at Teutoburg Forest came in he was off like a shot, taking on the task of holding the Rhine against a German army that had just wiped out 3 legions, with a handful of raw troops. Then again, the Emperor being blind to the motives of those closest to them, and the consequences thereof is kind of a running theme. I do think that Tiberius is the only one who might have had a fighting chance against Livia. Because he's the only one who seemed to know exactly what she was and what she was capable of. She's kept on winning because no-one else understood that until it was far too late. I agree on the point about history. It also works when you consider the meta, that this whole story is Graves re-interpreting histories that had Claudius as a pretty dismal caretaker emperor to put him in a more sympathetic light. Tiberius had every reason to hate Augustus for forcing him to marry Julia then banishing him, but that never really came across. I don't think his loyalty to Augustus was ever in question. Consider last episode, when news of the disaster at Teutoburg Forest came in he was off like a shot, taking on the task of holding the Rhine against a German army that had just wiped out 3 legions, with a handful of raw troops. Well, Tiberius also clearly felt happiest in the field, as he showed in the conversation with Drusus where he practically nerded out about it. I always interpreted his eagerness w/r/t Teutoburg as more of a "Thank the GODS, an excuse to get away from Livia for a while" sort of thing. (Hell, he might not have even minded the banishment so much for that same reason!) Let alone the fact that in this episode Tiberius pretty much loses it with anguished rage when discussing his relationship with Augustus. However, in a POLITICAL sense, yes, I think Tiberius was (or, more accurately, is portrayed here as being) loyal to him, even if grudgingly. But that may just have been as a result of insufficient ambition to be anything else! I do think that Tiberius is the only one who might have had a fighting chance against Livia. Because he's the only one who seemed to know exactly what she was and what she was capable of. Yeah, and this is supported by an upcoming episode (I think maybe the next one), where he actually outmaneuvers her a bit.